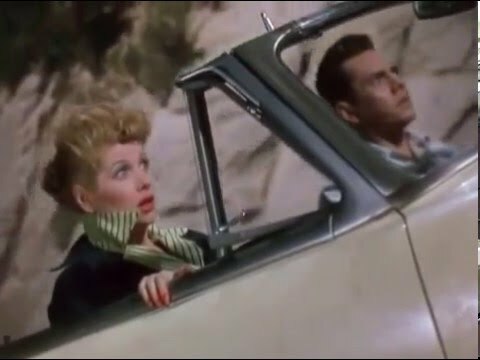 Despite having never seen a full episode of “I Love Lucy,” one thing that certainly comes across in “The Long, Long Trailer” is the love and admiration that Lucille Ball and Desi Arnaz have for one another. The chemistry between these two as they attempt to haul an ungodly long trailer through the Colorado mountains on their honeymoon is vibrant and so lively that they can turn something as simple as backing a trailer up into an uproarious affair. Of course, Ball and Arnaz were married in real life, so the duo bickering and whining comes across as genuine, but with that same charm that only Lucille Ball could bring. This is the perfect showcase of Ball’s comedic timing and witty personality that made her a household name, while also having some of the best slapstick outside of a Charlie Chaplin or Buster Keaton film. A wonderful film to relax and unwind to, where the biggest stakes are worrying if the trailer will make it to the top of the mountain.